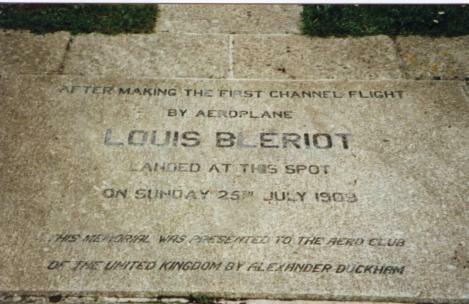 A commemorative memorial on the spot where Louis Bleriot landed his plane after the first channel crossing on 25th July 1909. Good, constructed of granite blocks >4" thick approx. 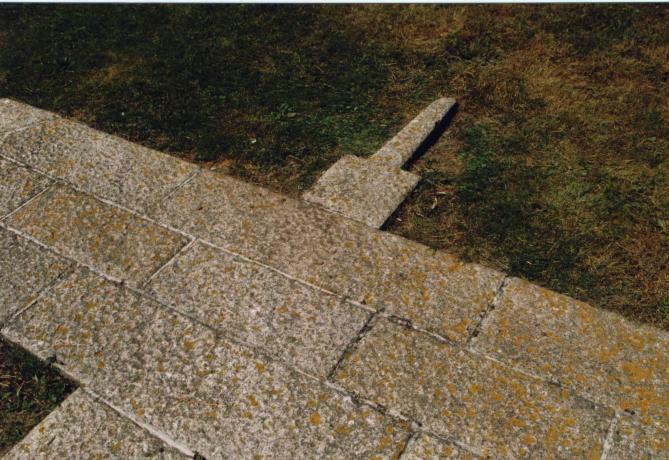 2’ by 1’ set into the turf. 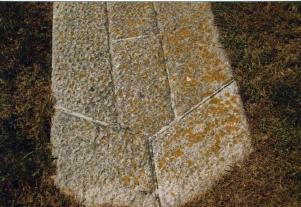 Covered sparsely with yellow lichen. 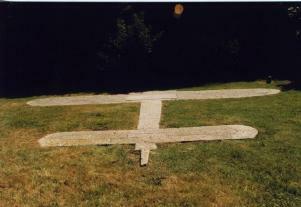 Cut on 4th February 1910 to commemorate the first cross channel flight by Louis Bleriot on 25th July 1909. 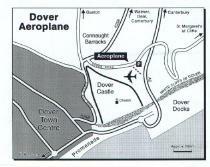 The memorial is under the care of Dover district council. 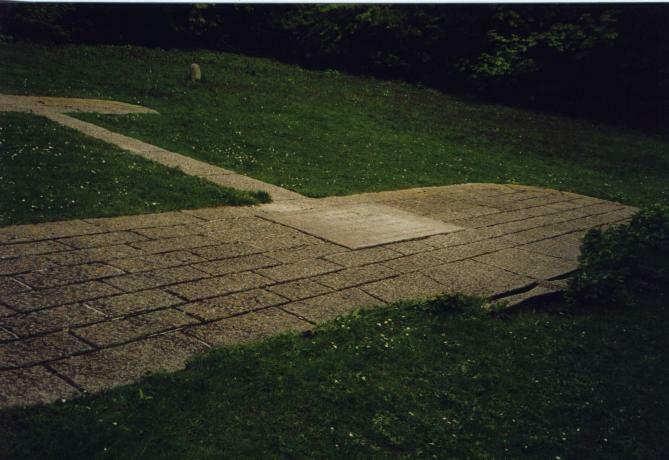 The site (a small wooded clearing) contains a memorial stone on the aeroplane (presented to the aero club of the United Kingdom by Alexander Duckham) and there is also an information board at the site. 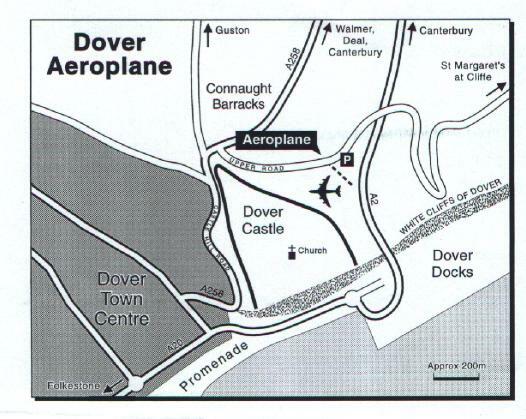 The memorial is situated near Dover castle. Kent Messenger 31st October edn, 1958. 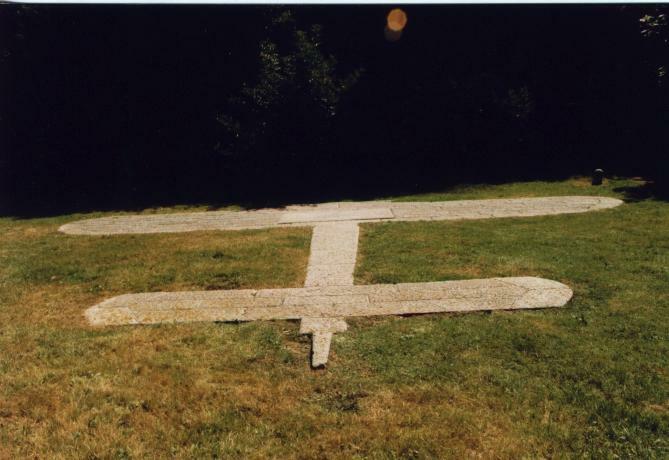 End of the First cross Channel Flight. Kentish Express 10th April edn, 1959. Kent Messenger 10th April edn, 1959. Kent Messenger 27th May edn, 1969. 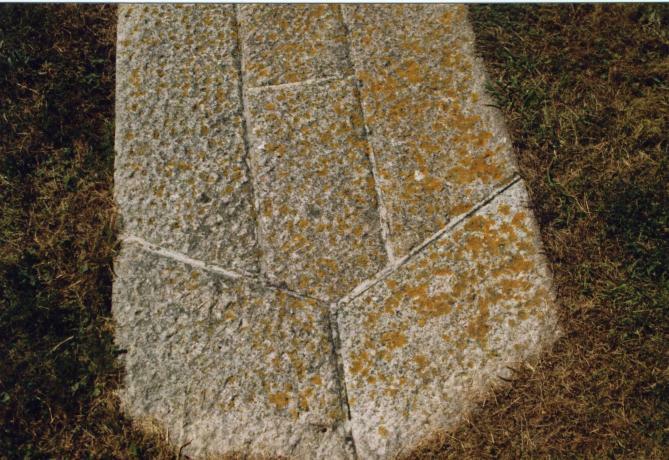 Newman, P. (1987) Gods and Graven Images: The Chalk Hill-Figures of Britain. 2nd edn. London: Robert Hale. 216. Maples, M. (1981) White Horses and Other Hill Figures. 2nd edn. Stroud: Alan Sutton. 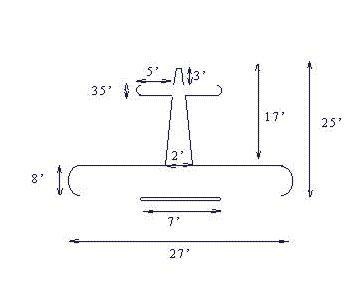 214. The Bleriot memorial from several angles.